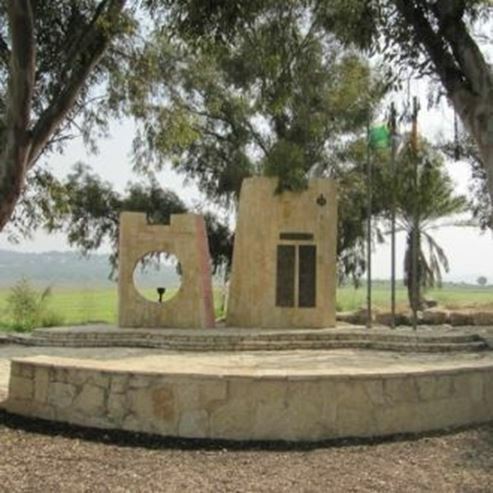 On the hill overlooking the Latrun police station and the heart of the Armored Corps site, a monument was erected to commemorate the soldiers of the Alexandroni Brigade. Fighters who fell in battle to conquer Latrun in 1948. 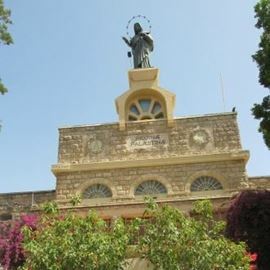 The monument was established at the initiative of the Alexandroni Brigade, and with the help of the KKL-JNF, which funded and strengthened the site. These organizations transformed the monument into a site that attracts thousands of civilians and soldiers throughout the year. The monument's contribution is to preserving the legacy of the War of Independence, a long war, a hard and cruel war that claimed over 6,000 victims, who ensured the establishment of the State of Israel. The Alexandroni Brigade was one of 12 brigades established by the Haganah during the War of Independence and served as the fighting force of the IDF. The Alexandroni Brigade received the number 3, it was established on December 1, 1947, and operated for almost two years until it was dismantled in the summer of 1949. Using WAZE, write the Alexandroni Monument. 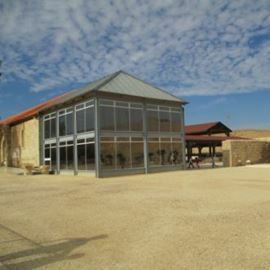 The monument is located near the Latrun interchange. For those coming from the center, take Highway 1, the Latrun interchange exit right and right again, continue to the Hativa Sheva junction and Kibbutz Nachshon - Neve Shalom, exit right and at the junction turn left and drive under the bridge towards Neve Shalom. Another half a kilometer and turn left according to the signs of the Alexandroni Monument. 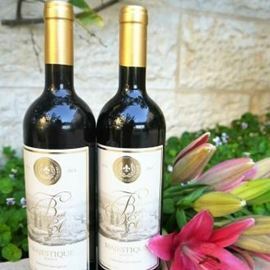 For those coming from the west, from the Masmiya junction, drive east on Route 3 towards Latrun, pass Nahshon junction and after about 2 kilometers turn right to Neve Shalom, continue on the road another half a kilometer and turn left according to the signs to the Alexandroni Monument.